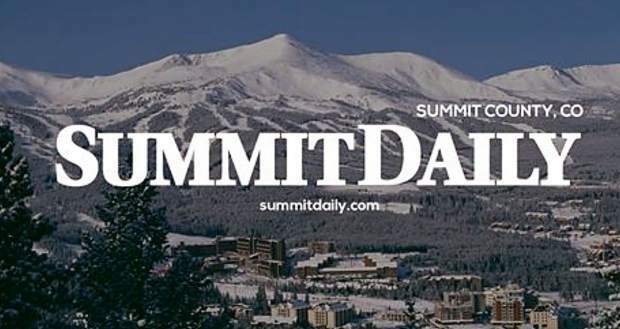 A former detective sergeant is suing the Summit County Sheriff’s Office in federal court, claiming the agency violated his civil and employment rights when it allegedly fired him for being an alcoholic in 2016. In a lawsuit filed in U.S. District Court in Denver on Jan. 17, Jared Dennis of Silverthorne alleges that his firing violated the Americans with Disabilities Act and the Rehabilitation Act because his alcoholism was a medical condition and wasn’t affecting his job performance. Dennis seeks back pay, reinstatement or front pay and compensatory damages for the “mental distress and humiliation” the firing caused him. In the statement, the sheriff’s office said Dennis never sought a reasonable accommodation for any disability, nor did he contact human resources about a disability prior to his termination. “SCSO looks forward to vigorously defending all of Mr. Dennis’ allegations and presenting the entirety of the facts of the matter in court,” the agency said. Dennis’s firing allegedly stems from a dispute in 2016 between Dennis and his ex-wife, who filed domestic violence charges against him in Park County the day after he asked for a divorce, according to the lawsuit filed by Arvada attorney Ralph Lamar. Those charges were dropped several months later, but they precipitated the events leading to Dennis’s firing. On the day she filed the charges, Dennis’s ex-wife filed for divorce at the Summit County Justice Center, which houses both the courts and sheriff’s office, the suit says. The sheriff’s office then opened an internal affairs investigation into Dennis. The Park County Sheriff’s Office, meanwhile, had issued a restraining order against him. Because the restraining order preventing him from going home, Dennis stayed with his friend Robert Pearce, a commander with the sheriff’s office at the time who is now a detective. That night, Pearce and Dennis drank “shot for shot” until going to bed around 10:30 p.m., the suit says. At 7 a.m. on July 27, Pearce is said to have driven Dennis to the Park County Jail in his county vehicle. An hour later, when Dennis was being booked into the jail, a breath test registered his blood alcohol content at 0.107, according to the lawsuit. Commander Wes Mumford (now Lesley) went to the jail and fired Dennis, citing consumption of alcohol while on duty and “other policy violations related to the alcohol consumption,” the suit says. The lawsuit claims there was no basis for firing Dennis because he was not on duty at the time of his firing and hadn’t drank within eight hours of his scheduled start time. It also accuses the sheriff’s office of inconsistency for not investigating Pearce. “While Defendant’s command staff knew that plaintiff had been drinking with Pearce the night before plaintiff turned himself in and knew or should have known that Pearce drove plaintiff in a Summit County vehicle to the Park County Sheriff’s Department, Commander Pearce was never asked to undergo an alcohol screen, was not placed on an IA, nor reprimanded for being intoxicated while on duty,” the suit alleges. The lawsuit claims that Dennis was fired because of his alcoholism, a disability under the ADA, even though it hadn’t prevented him from carrying out his duties as a detective sergeant. Alcoholics are protected by the ADA, but not unconditionally. If Dennis was not drunk on the job, the question of whether or not his condition was affecting his job performance would likely be the crux of his case. Dennis filed a discrimination claim with the Equal Employment Opportunity Commission on Nov. 10, 2016 and received a right to sue letter from the Department of Justice around Nov. 22, the suit says. The sheriff’s office first hired Dennis as a patrol deputy in Sept. 2006 and promoted him to detective in May 2010. Sheriff Jaime FitzSimons, named in the suit in his official capacity, assumed office in May 2016, and Dennis was promoted to detective sergeant in July. Dennis and two other deputies, including Mumford, received FBI commendations in 2013 for their work several years earlier tracking down a man suspected of committing a string of burglaries and sticking up an armored car in Breckenridge.